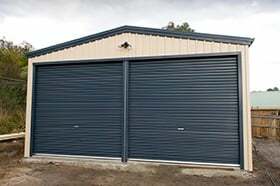 Building a garage or storage building can be a great addition to any property in Australia. Often benefitting homeowners and potential buyers with extra space to park cars or to keep belongings safe, they can also provide functional space that offers an escape or a place to work. Garages are ideal for woodworking, DIY and craft projects, in particular, giving you somewhere to get creative and hands-on, yet that won’t make a mess of the indoors. And although building a garage can be a relatively simple process in terms of large home improvements, there are still some important things to consider before going ahead. Read on and discover seven essential questions that you should ask before you build your garage in Tasmania. 1. What exactly do I want to store in my garage? More often than not, people want to build a garage to store cars or act as an additional space that can be used by one person or all of the family. You may already have a good idea of what your garage will store. It’s important to have a clear picture of this. This is because the things that you wish to store in your garage may have an impact on how it’s built and designed. For example, if you plan on storing and making wine or beer, you’ll need a garage that is cool and dark. Additionally, if you plan on using your garage to store things like books or paperwork that you will want regular access to, you’ll benefit more from a lighter, warmer garage that is easy to read in. Make sure to outline what you plan to store in your garage to your designer in the initial stages, to ensure that they can choose the best materials and designs for your needs. 2. Will my garage have more purposes than one? Similar to knowing exactly what you will be storing in your garage, knowing what you will use it for will mean that your garage can be built to suit your needs to most. If you only plan on using your garage to store cars, an overhead garage door is the best bet for you. However, if you will be using your garage to store cars but also as a place to relax, work or create, then windows and doors are needed. Aesthetics such as wall colour and roof style are also directly related to how you will use your garage. To put it simply, the more your designer knows, the better the space that they can create for the best amount of money. 3. Will I need planning permission? From wood or metal sheds to purpose-built brick storage units, you need to consider whether you will need planning permission before you confirm building your garage. In most cases, garages will require planning permission. They may not require a building or plumbing permit however. Building garages in Tasmania is something that our company is expert at, and we will be able to offer some advice on whether building or plumbing permission is necessary. Make sure to check your local authorities before you decide on building your garage, to see whether or not you will need permission. Council permission is an extra expense, which may affect your willingness to build a garage. 4. Do I have a clear idea of how I want it to look? Do you want your garage to be an extension of your home’s architecture, or are you wanting to create a statement that stands out from your property and suits a modern home? Either way, gaining a clear perspective of how you would like your garage to look, will help you develop a stronger sense of style for your garage. In turn, this can boost your property value. Once you have a set style or look in mind, designers can work hard to replicate it in a cohesive way that will suit you. Make sure that you are happy with your designer, or their company roster and Instagram, as this will give you a stronger rapport and eye for their performing tips and tricks. 5. Do you know where it will be located on your property? How big will your garage need to be, and is there enough room for it on your current property? This should be your first question before committing to anything else, and ultimately, this makes it one of the most important questions too. If you have a more compact space, it’s best to create a smaller garage that will provide plenty of storage that is easy-to-access for you and your family. On the other hand, if you’re blessed with ample space on your property, a larger garage will provide you with more opportunity and space that can suit your exact needs. 6. Will I need to change my driveway? If you already have a carport or garage, your existing driveway may be sufficient. If you plan to place your garage in a new location on your property you may need to plan for a new driveway or an extension. Obstacles such as trees, walls and fences may require council approval before you can move or alter them. Proximity to a neighbour's property could also come into play not just for your garage, but for the driveway too. Be sure you plan for the right width to give you all the room you need to manoeuvre in and out of the garage. 7. How long will the building process take and will it suit my needs? The duration of your garage being built is a highly important question that needs an answer before any construction starts. Depending on your personal or work life circumstances, you may be unable to accommodate long building processes and instead will need a simpler, speedier garage to be built that will be a refined version of what you initially may have requested. Feeling inspired? Contact us today to find out how we can create some convenient extra storage for your property by building a garage or shed.